This past Friday, Shelly attended an event at Lumen (one of our new favorite spots!). 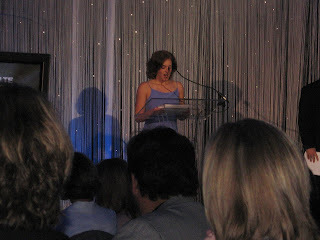 She had the opportunity to see the 2008 Louie Awards, which showcases members of ISES (International Special Events Society). 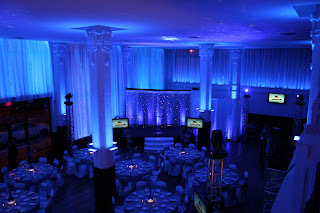 Many awards were given to outstanding vendors that specialize in event planning, decor, catering, etc. Shelly got to spend the evening with three great friends of ours: Sabrina Torti of Proposing Dreams, and Bryan and Erin Schulte of Exclusive Events. Here are some snapshots of the party. Lumen –dazzling and ready for the party! 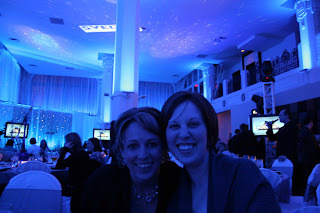 Sabrina and Shelly in the VERY blue room! An event that Sisters Flowers did the centerpieces for even won an award!!! 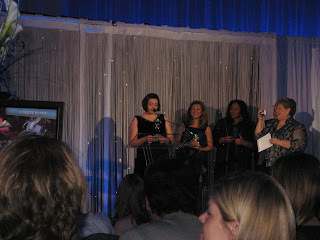 Here is Annie of Cosmopolitan Events accepting the award for the party she worked so hard to plan and execute! Way to go, Annie!! It was a great night out for Sisters Flowers! !